Lowdown: With much violence, a police detective uncovers the killers of his wife. A movie based on a video game sounds like a disaster about to happen. Unless, of course, one cares for the game – it seems obvious to me, for example, that the soon to be made (?) movie on the Mass Effect world would be an excellent watch. Max Payne, however, would have probably benefited more out of remaining at Rockstar’s game world than showing up in this 2008 film. Mark Wahlberg stars as our Max, a disgruntled police detective with a past so mired he’s been relegated to manage police archives. Apparently, he has been forever traumatized by the murder of his wife and child a few years back that he’s unable to function in society anymore. Further, he’s dead obsessed with finding the killer long after everybody else gave up. Following on his ongoing investigations, Max stumbles upon a Russian speaking beauty (Olga Kurylenko) and her mysterious sister (Mila Kunis). The mysterious death of the first sister brings Max to think he might just find that elusive killer of his, while it sends to rest of the police to regard Max himself as the killer. Violence follows! Things don’t really make sense: Max can go about town blasting at will without much in the way of implications. All the while, he’s keeping his day job despite not showing up to the office on time. Things are incredibly predictable: There are so few characters here that the second you see a big sign for a pharmaceutical company, you know they have to be behind this. After all, there’s no one else to take the blame. Characterization: Other than Max, everyone else is character-less. Including Kunis’ character, who is supposed to be central. 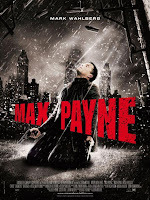 Dialog: The fact Max Payne is based on a video game is no excuse for dialog to look and feel as if it came directly from Grand Theft Auto cut scenes. The combination of it all – the violence and the overall mediocrity of this film – sheds even more light on the shady foundation of American culture. The fact Max Payne can exhibit brutal violence yet abstains from anything sexual places a very sad mirror for contemporary American values. A society like that is two faced; given the rest of the world imports American culture by the ton, we are all paying the price. Worst scene: Kunis rescues Max Wahlberg while carrying a sub machine gun. The acting in this scene is so dreadful it’s amazing to think we’re watching the same Kunis that did so well in Black Swan. Perhaps the fault is with the director, who chose to give the film an ultra realistic video game like look? 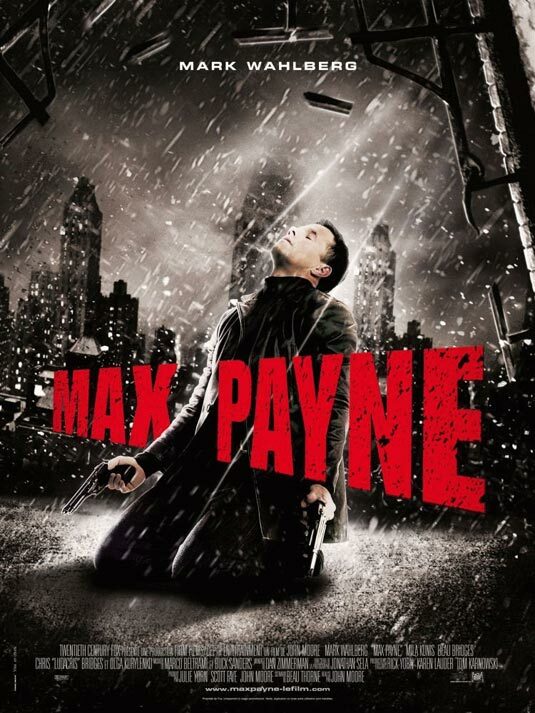 Overall: Unless you’re after violent action scenes Max Payne is a time waster. 2 out of 5 stars. A Hommus Sapiens from Melbourne, Australia. Images copyrights are maintained by their original owners.